We here at Relay eat, sleep, breathe, and dream Star Citizen. And we won’t pretend to be something we’re not. We are a Star Citizen fansite. 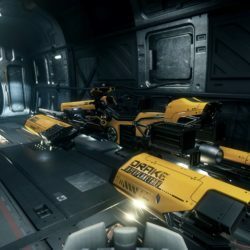 But just as the Star Citizen development process is unique and ground-breaking, so must Relay be. Right now, that means we transcribe and summarize all of CIG’s content, we analyze their development and their funding, we bring you up to the minute news, and we bring our opinions to you, the fans, through podcasts and streams. It also means we provide a home for some of the best fiction in the Verse, and it means we highlight you, and people like you, around the community; the people making content that changes the conversation about the game. We will continually evolve The Relay to provide new features and improve existing ones.